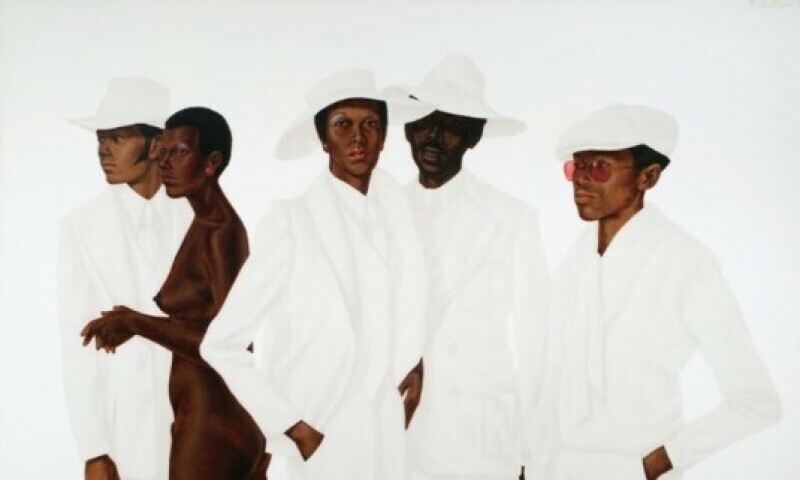 Barkley L. Hendricks, What's Going On, 1974, oil, acrylic, and magna on cotton canvas. Celebrating the works that African American artists created during two pivotal decades in American history (1963–1983), the exhibition—organized by Tate Modern, London—examines the very purpose of art and the role of artists in society. Featuring more than 150 works by over 60 artists, the de Young museum presentation will uniquely include works closely connected to the San Francisco Bay Area. Soul of a Nation captures a turbulent time when race and identity were central issues in American society, much as they continue to be today. Commencing in 1963, the year of the March on Washington and in the height of the Civil Rights Movement, the exhibition examines the impact of key historical events, and diverse cultural influences including music and literature. Galvanized by the spirit of the times, and the struggle for equality and justice, many artists created images that promoted individual and collective strength, solidarity, and resistance. The call for Black Power generated powerful representational images of political leaders such as Wadsworth Jarrell’s Black Prince (1971) [Malcolm X], and John Outterbridge’s About Martin (1975) [Dr. Martin Luther King, Jr.], who were fighting for equality and justice. Reclaiming the African roots of abstraction from European and American modernists, artists, such as William T. Williams and Joe Overstreet focused primarily on color, form, and concept. Photographers such as Roy DeCarava depicted the diversity, complexity, and beauty of ordinary African Americans, trying to live their lives in the midst of a racist society. Together their art changed the face and future of America.